Happy July 4th. 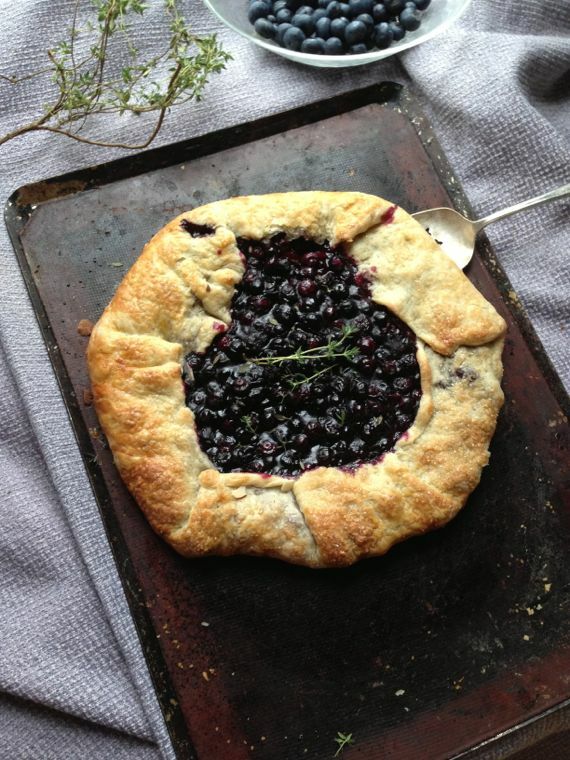 Today I made a gorgeous blueberry thyme galette with fresh thyme from my garden and blueberry honey. After a moment of thinking about what it means to be a free country, and feeling gratitude, I usually get to baking something with blueberries. The blueberry farm behind us is open for picking and yesterday I picked six pounds of juicy sweet organic berries. Baking a blueberry galette is a great way to celebrate this holiday, along with corn salad which will be posted on Saturday, maple bourbon baked beans, and something special I made for the Secret Recipe Club which will be posted Monday. A galette is an easy way to get out of making pie and worrying about beautifully crimped edges, etc. I gravitate to rustic food that looks like love. This is just one of those desserts. This is headed over to a neighbor’s house in a few hours. Serve with lemon ice cream if you dare and don’t forget the fresh thyme. Blueberries love herbs. If you don’t have thyme, try a little fresh basil. See my video for pie crust here. 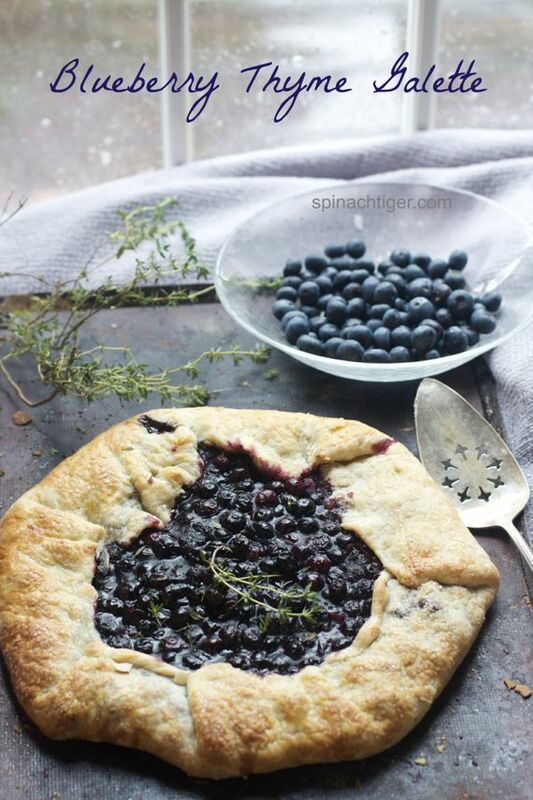 Beautiful rustic galette baked with blueberry honey in a perfect pie crust. 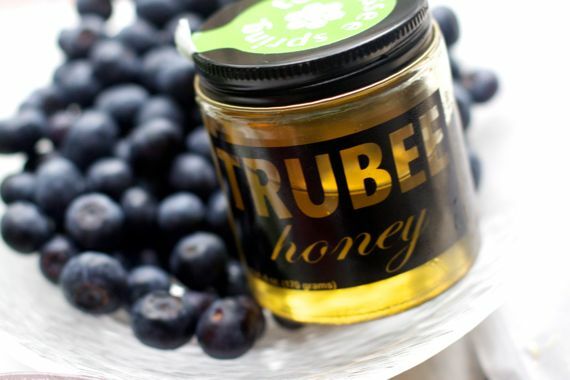 Put blueberries in bowl and toss with remaining ingredients except the thyme, egg and raw sugar. Roll out crust to large circle. Place blueberry mixture in center leaving about 2 inchs of dough. Sprinkle thyme leaves all over the center where the berries are. Six pounds of blueberries at the U-pic sounds like a fun and productive way to spend a summer afternoon, I love the idea of using the blueberries with thyme! Can’t wait to try this with my lemon thyme! G’day! Happy Belated July 4th, true! Your galette and photos looks YUM…I would love to try some now too! That is gorgeous! Look at those blueberries! This is gorgeous, and I love the berry and thyme combo. Fresh berries are one of my favourite things about this time of year! Thanks Anna, you would love the blueberry farm. Wow!! What a beauty this is…beautiful photo by the way Angela…I have some blueberries I just bought at the Farmer’s Market a couple of days ago…maybe another galette is in my future? The thyme must just make this a fabulous flavor combo? Absolutely splendid! This flavor combination is perfect. Thank you for coming over. Wish I could send some blueberry galette your way. Happy 4th! I wish this beautiful gazette was on my menu today, it would be perfect. Our celebration turned out to be more low key than expected but I am thankful nonetheless. Hope yours was more festive! Thanks Liren, Although it was our first rainy July 4th I think of my life, it ended up being a great time. Yes, thankful here too.